It’s done! After a fair bit of mucking around, my first golf book is finished. So what’s it about? It’s essentially a detailed summary of my main ideas for playing better golf and automating your game. I outline the exact things that are most likely stopping you from playing your best and what you should be doing instead. 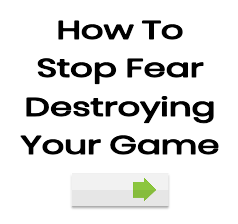 It’s a short book, but it’s packed with solid information that will help you overcome self-doubt and fear. Some bonuses: I’m also including, Remarkable Golf (CD) and The World’s Simplest Golf Lesson (online video) with your purchase. Value of the bonuses is $84 and will come FREE while stock lasts. The Golfer’s Nightmare is available now. Visit this link to get yours now.